One of the joys of traveling to teach is seeing new places. 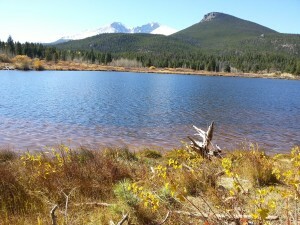 Mid-October was a wonderful time to visit Colorado and I can’t resist sharing some scenic snapshots with you. Between lecturing, teaching workshops and visiting local quilt stores, my generous guild hosts took me to beautiful places. 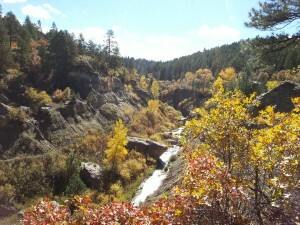 Adele from the Columbine Quilt Guild, and her two hiking buddies took me to Castlewood Canyon State Park, south of Denver not far from Castle Rock. 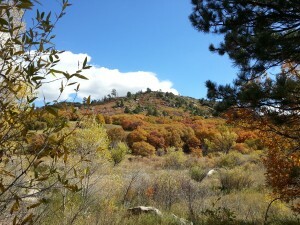 As you can see, the fall colors where spectacular. We did a four mile hike up the canyon, past the ruins of the old dam and back along the canyon rim. 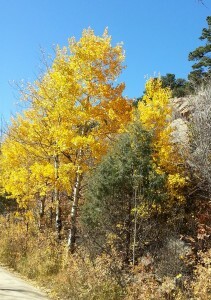 It was a perfect temperature for walking. Adele also drove me along the Peaks to Peaks Highway. This chapel is a popular wedding venue and has a gorgeous view of the mountains. We walked around Lily Lake and there wasn’t a cloud in the sky. Most of the aspens had already dropped their leaves, but there were some in sheltered spots that were still brilliant golden. 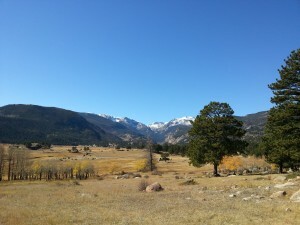 These two shots are in the Rocky Mountain National Park where had a picnic and saw a large herd of elk in the meadows. There was a huge buck with a harem of 35! Angie, from the Arapahoe County Quilters took me to the Red Rocks Amphitheater. 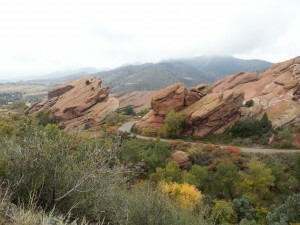 The red rocks form a craggy outcrop and nestled between two huge sections is the amphitheater up at 6,500 ft. This is a popular venue for concerts and during the summer, there are rock bands scheduled about every three days. Even the Beatles appeared here in the 60s! 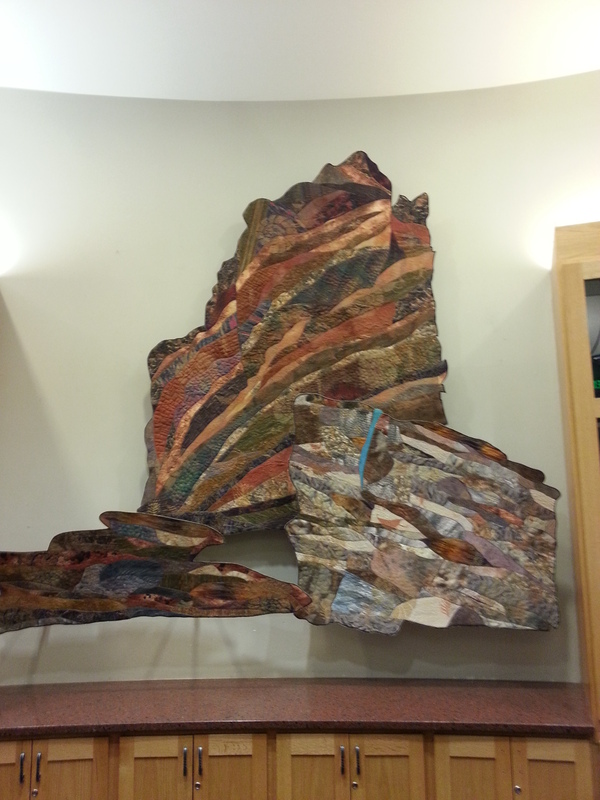 At the entrance to the museum area, behind the information counter, hangs this amazing quilt depicting the rock formations. 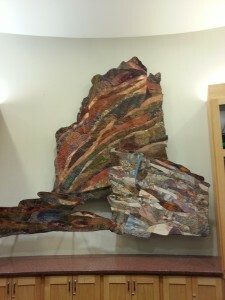 The quilt is entitled, Walk the Rocks, and was made by Judith Trager for the Public Art Program in 2003, City and County of Denver. 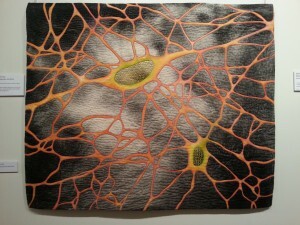 We marveled at its beauty and the workmanship. 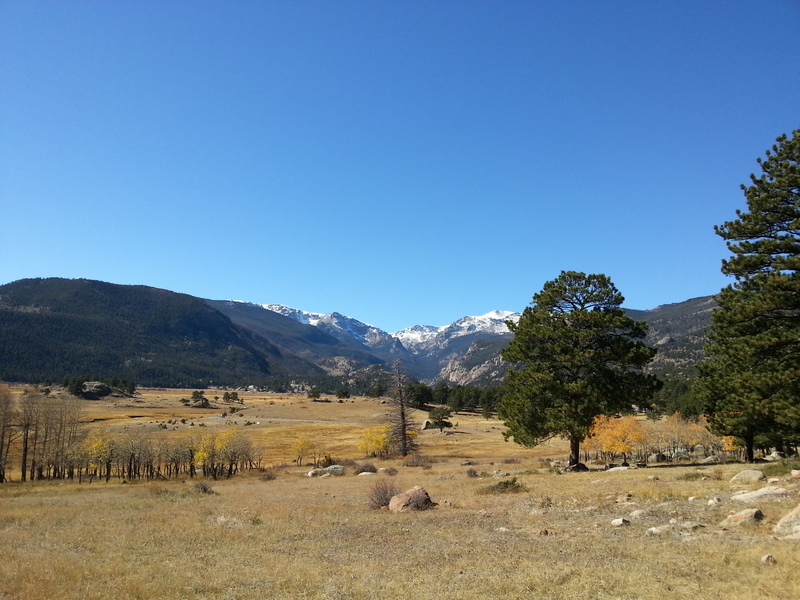 I love teaching and traveling and had a wonderful time on my October 2014 trip to Colorado. 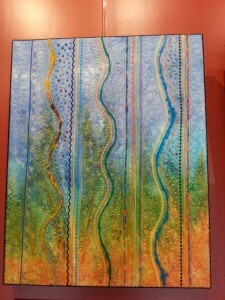 I taught at three guilds in the Denver area – Arapahoe County Quilt Guild, Columbine Quilt Guild and Longmont Quilt Guild. 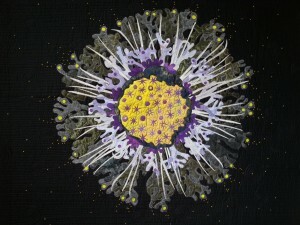 All the groups welcomed me warmly and I enjoyed lecturing at their meetings and the workshops. 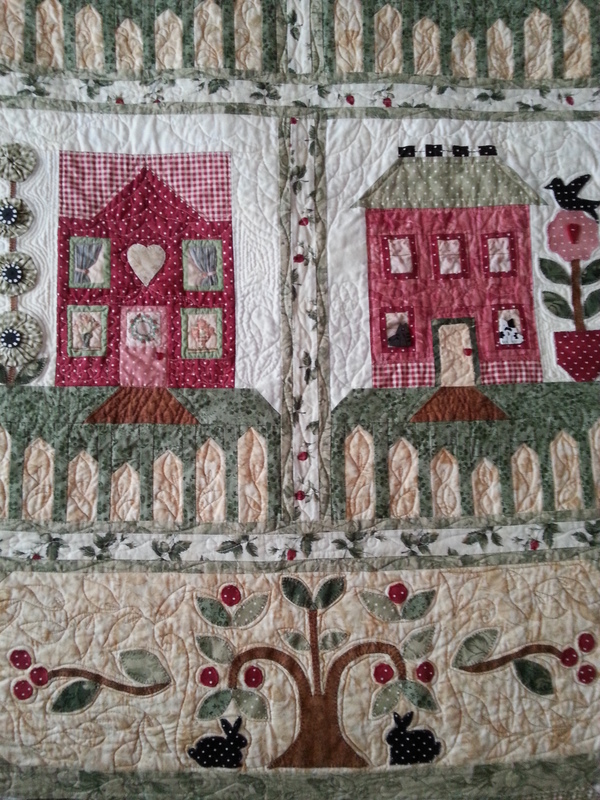 My home stays with guild members were wonderful and each home had its own character and quilts, a small piece of which I’m sharing here. 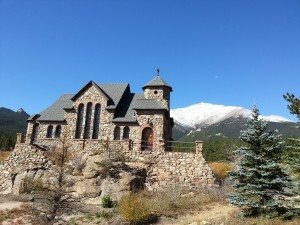 My first stay was with Kelly Collins in Littleton on the southwest edge of Denver. 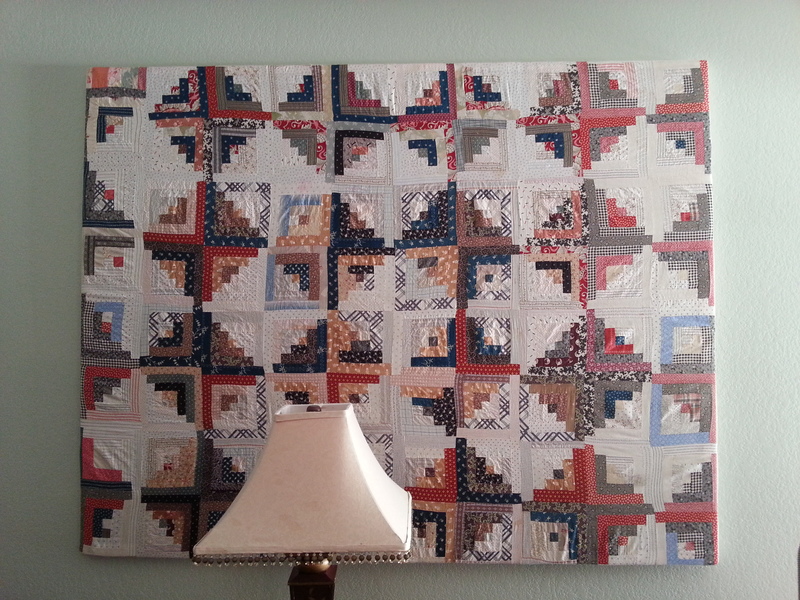 In Kelly’s living room she had this lovely Log Cabin antique quilt top stretched over a frame to hang as an art piece on the wall. 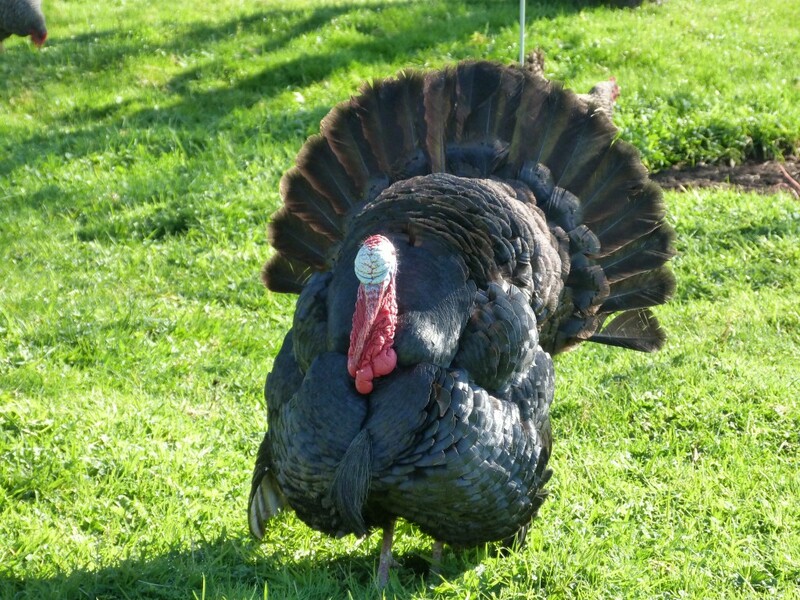 It looked stunning. 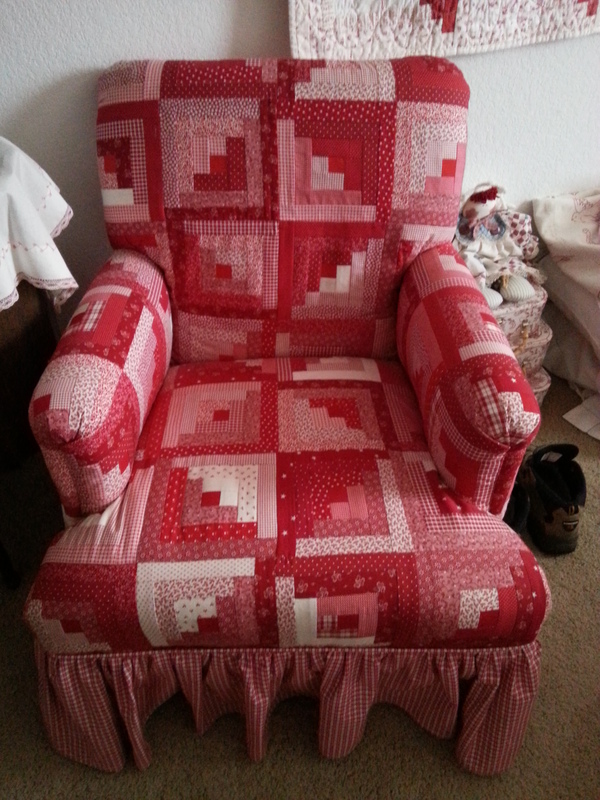 My bedroom was decorated with a red and white theme with a red-work embroidered quilt on the wall and this lovely little arm chair. Kelly and her mother upholstered the chair with red and white Log Cabin blocks and it makes a perfect addition to the room . On the bed was a lovely house quilt – see detail of it below. 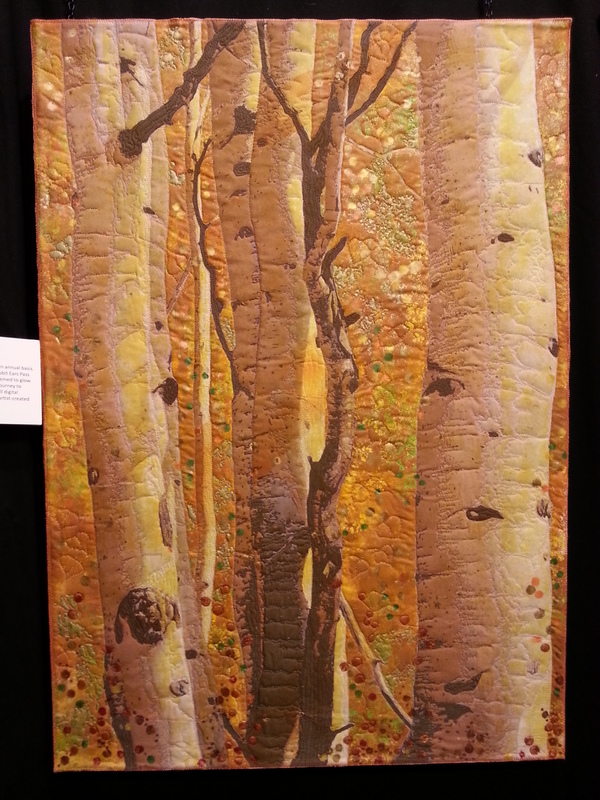 My workshop for the Arapahoe County Quilters was The Bears Come out at Night pattern, my variation on a traditional Bear’s Paw block with Sawtoothed Star mini-blocks. 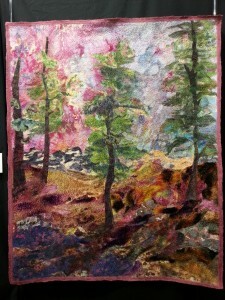 Here are two of my students with their completed blocks alongside my quilt, Winter Garden. 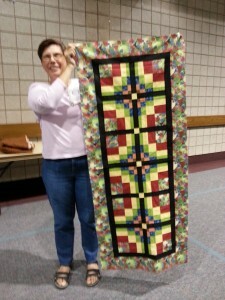 I taught my Bargello Quilts with a Twist workshop for the Columbine and Longmont Quilt Guilds. 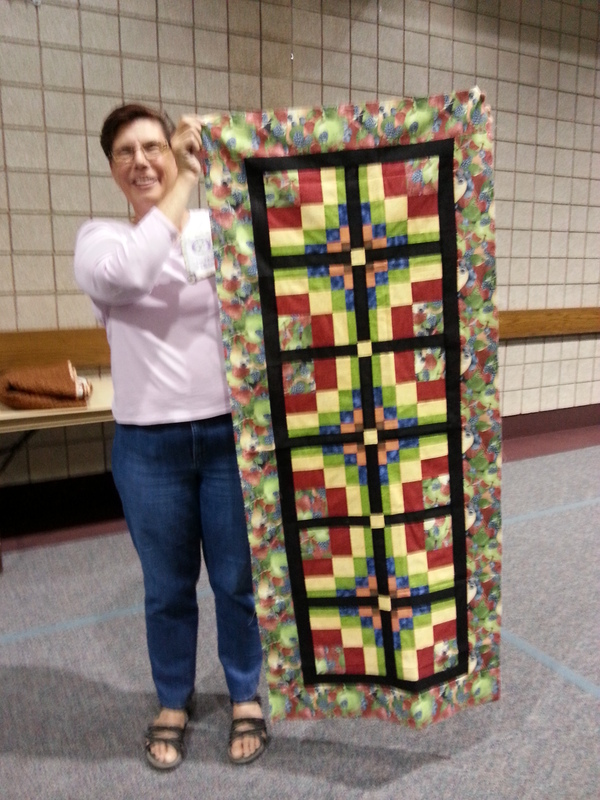 One of my students, Lu Ann Klider, finished her table runner quilt top in time to share it at Show and Tell at the Longmont Quilt Guild meeting. 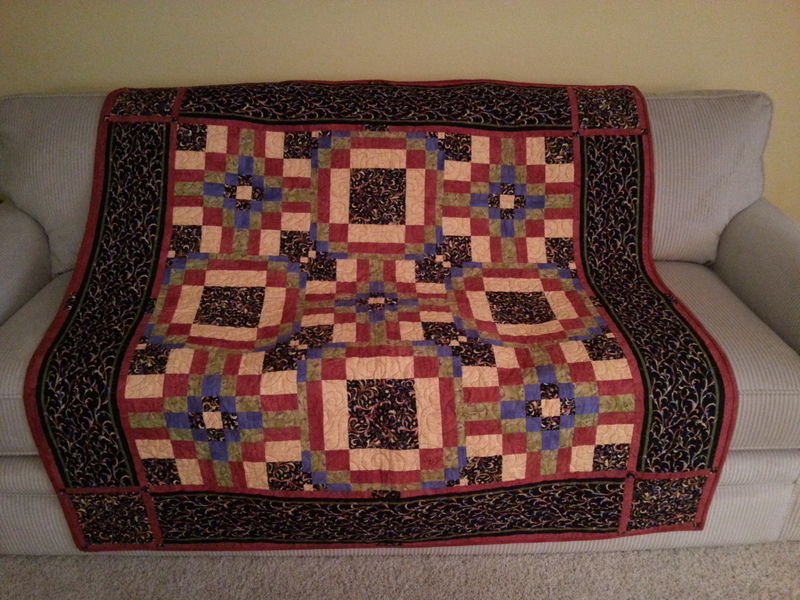 The quilt on the couch was made by Adele Williams, with whom I stayed in Arvada. 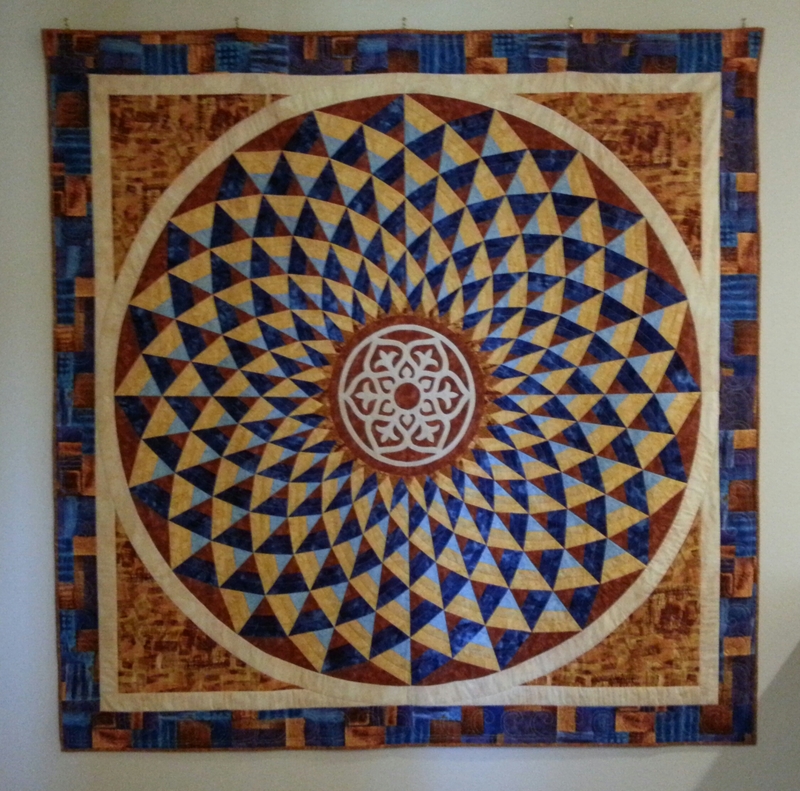 Adele purchased my book two years ago when I lectured for the Colorado Quilt Council in Pueblo and made the quilt following the instructions in the book. 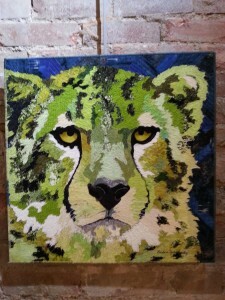 In Longmont, I stayed at the beautiful home of Dawn Hunter. 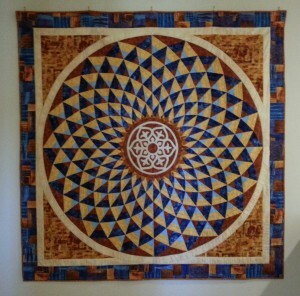 Dawn had this stunning Bella Bella quilt hanging at the top of her stair well. 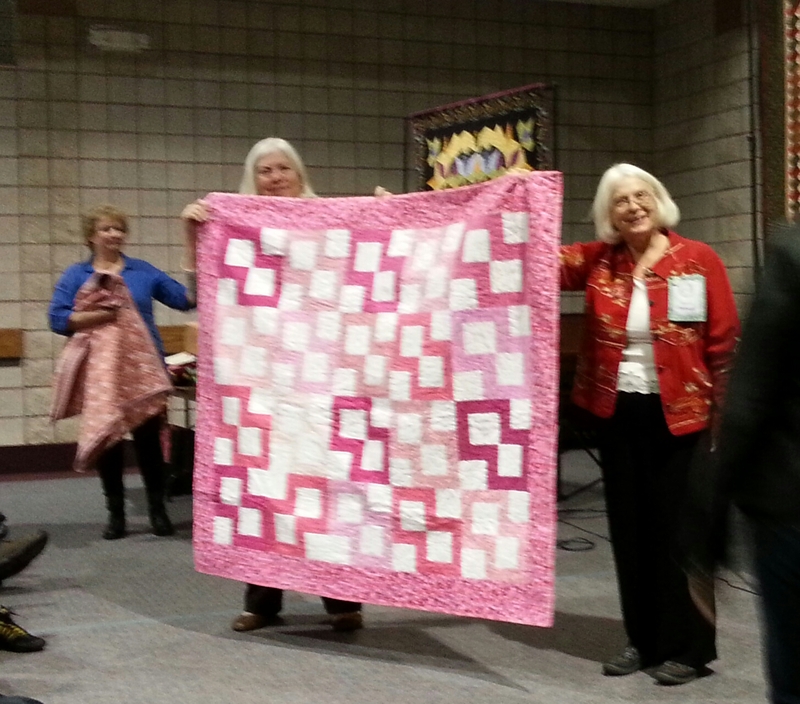 The pink quilt and several other similar quilts were presented at the Longmont Quilt Guild meeting. 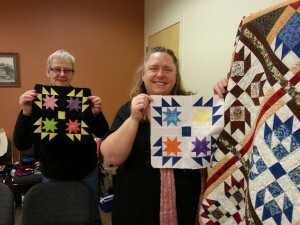 October was Breast Cancer Awareness Month and the guild members made these quilts to present to breast cancer victims and survivors. 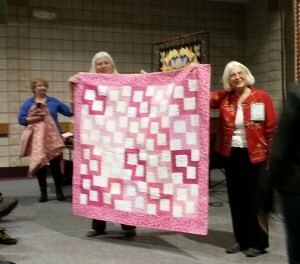 Around February time, a committee decides on a simple block and they organize sew-in days for guild members to make pink blocks. 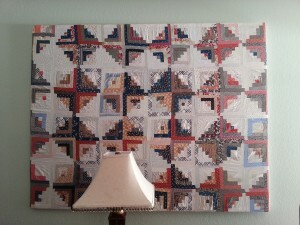 They make as many quilts as they can – I think there were at least 10 this year. Guild members can nominate recipients for these quilts and the recipient doesn’t have to be a guild member. The nominations are pulled from a hat and the quilts given away. Being a breast cancer survivor, I was very touched by this outreach project, one that I haven’t come across at any other guilds that I have visited. 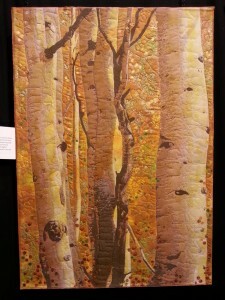 A couple of weeks ago I wrote a post about the Rocky Mountain Quilt Museum, CO and highlighted some of the antique quilts from their permanent collection that were on display. 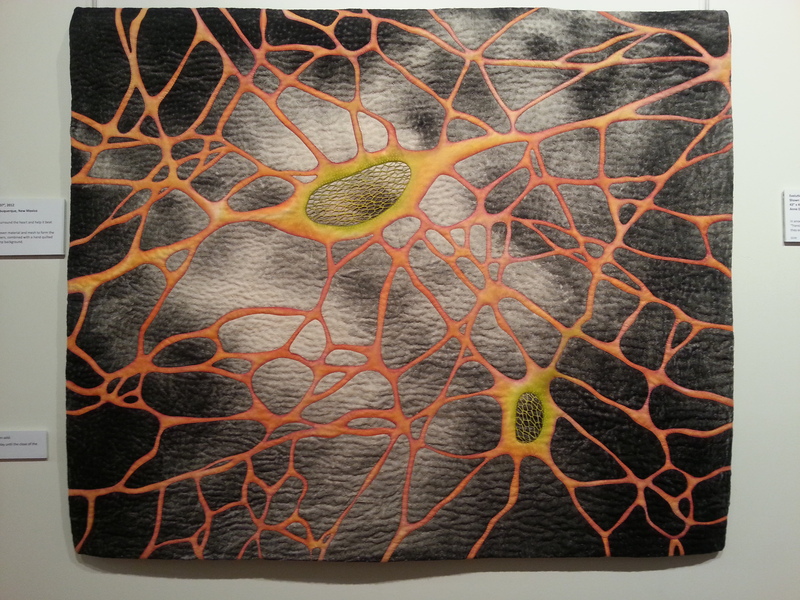 In this blog I will feature six quilts from the special exhibit, Evolutions: Third biennial quilt challenge. These quilts were juried by Dr. Sandra Sider and the challenge was sponsored in part by eQuilter.com and a grant from the International Quilt Association. 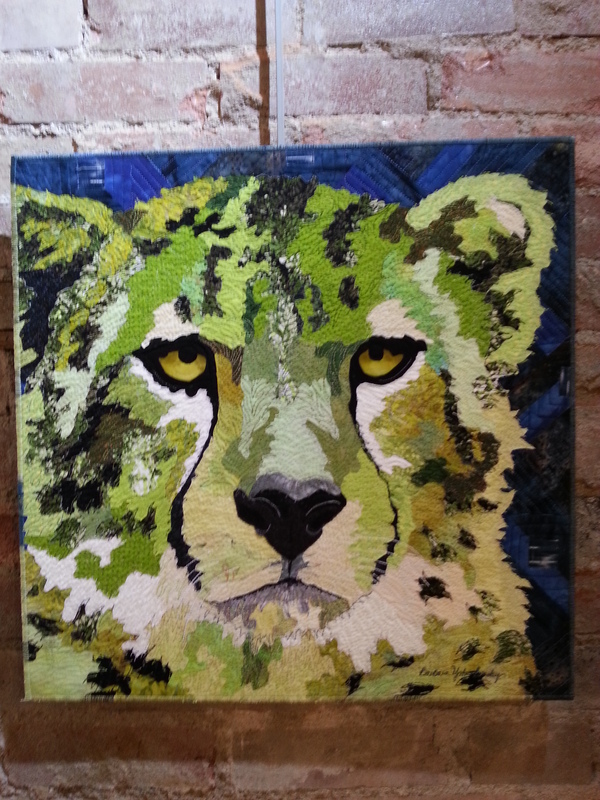 The evolution theme could be interpreted in any way, however it inspired the quilt makers.